NIA CHARLESTOWN NEVIS (June 02, 2014) –The construction of a multi-purpose building for the delivery of Technical Vocational Education and Training (TVET), was high on the agenda of the Caribbean Development Bank (CDB) officials who met with Premier of Nevis and Minister of Education and other Education officials at Government Headquarters, Bath Plain, on May 28, 2014. Operations Officer (Education) Dr. Martin Baptiste who was accompanied by Operations Officer (Civil Engineering) Stephen Lawrence, spoke to the assistance given by the Bank through its assistance programme. “In 2011 the Bank approved a Country Strategy Paper which set out the assistance programme for St. Kitts and Nevis from 2011 to 2015. The strategy, of course, culminates next year and when we had discussions with St. Kitts and Nevis just about four years ago, what was identified as an area where, for the education sector, we need to provide support is in the area of TVET and Early Childhood Development ECD. Those two areas would really follow through our support that we have given to St. Kitts and Nevis. “As you know, Premier, we have supported the Basic Needs [Trust] Fund projects, through which the St. John’s Primary and the Charlestown Secondary were rebuilt and rehabilitated and we also concluded last year the Child Development Project in St. Kitts and Nevis which led to the New Horizon Centre in St. Kitts and also some other support to see how the Federation can deal with youth at risk and to see how they can support them,” he said. “In the case of Nevis, and of course we understand our obligation to make sure that we address the skills needs in both St. Kitts and Nevis, we have been advised and through our discussions today we will in a sense almost finalise a general sense as to what you want us to do. We know that the multi-purpose centre is one area that you are looking for support,” he explained. This mission really involves just two of us civil engineer and education specialist but we are going to be fielding a full appraisal mission involving about six or seven persons by August/September which would involve a social analyst, an environmental specialist, an analyst, so that we really come and by then, the details of the project would be fairly well understood and so we can really put together a good document. 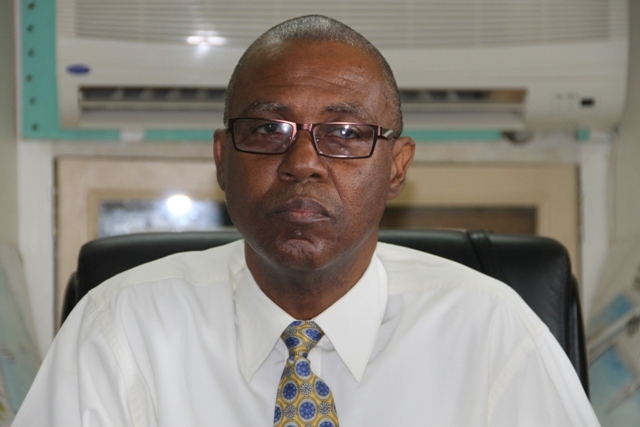 According to Dr. Baptiste, the mission’s task in Nevis was to get a general sense of the scope of the project for presentation to the CDB Board by the end of 2014. “Our task here is really a pre-appraisal; just to come, have discussions…and from this mission we hope to identify, in a general sense, what are the areas that we are likely to support. We want to identify what our information needs that you would provide us over the next two to three months we would receive information. So when we mount our appraisal mission in the next month, two months or so, we would be well prepared both your team and us in terms of really putting the project together. “As far as information needs go and what our requirements are to appraise the project, once we are doing civil works, ideally we would want to have final architectural designs. If final designs are available, fabulous, but if not, we want to make sure that the designs are at a stage that would allow us to have a sense as to what the cost estimates are. We would also need to get a list and cost estimates for equipment and tools. So that’s the kind of thing we would want to get as well as to look at general data on the education sector,” he said. Orette Smith TVET Coordinator in the Ministry of Education on Nevis gave an overview of the project’s progressfor the proposed building that would house TVET activities. “What we are looking at is the possibility that the multi-purpose centre, there are two main blocks. One of the blocks is a two-storey building. The other block is a single floor so we are looking at the possibility of converting that single floor into a two floor to accommodate for more space to include other areas that are not currently being offered there but would be critical as we look at what we call a demand-driven programme. “The preliminaries have not yet started but we have been looking at it and we are going to see if we can begin the process in terms of getting a sketch and organise to get the architectural drawing done,” he said. Mr. Lawrence in his comments spoke of the infrastructural work. “If that’s not possible within the time frame, we still need a fairly accurate representation of the cost and drawings that I can review because these are things we present in our appraisals that goes to the Board and it has to have some grounding…I am here to get a sense of what you want to do, how it will work, just to be more familiar so that when we are actually appraising we are on common ground and understand each other,” he said. 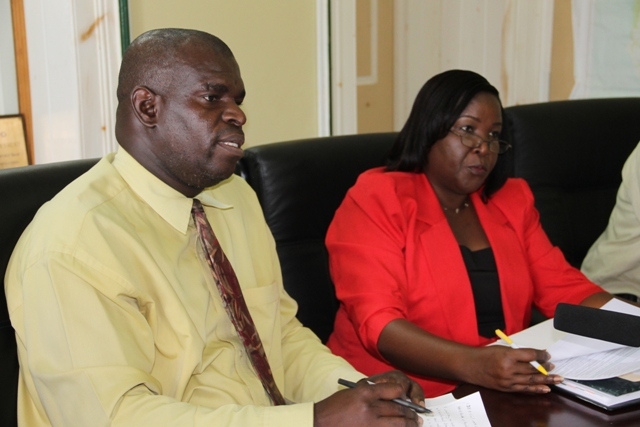 Principal Technical and Vocational Education and Training Officer in the Federal Ministry of Education Fritzroy Wilkin who accompanied the CDB delegation spoke to the Federation’s emphasis on the development of technical and vocational education. “We recognise that it is important for us to develop the requisite skills to be able to move within the Caribbean Single Market Economy [CSME] initiative and also to compete on a global market. “We have been undertaking a number of initiatives, one of which was our most recent initiative, the ratification and passing of our TVET policy and we are now looking at how we can build capacity both in terms of the human resource capacity, the physical infrastructure in order to ensure that we offer the relevant skills to suit this era in terms of moving forward,” he said. 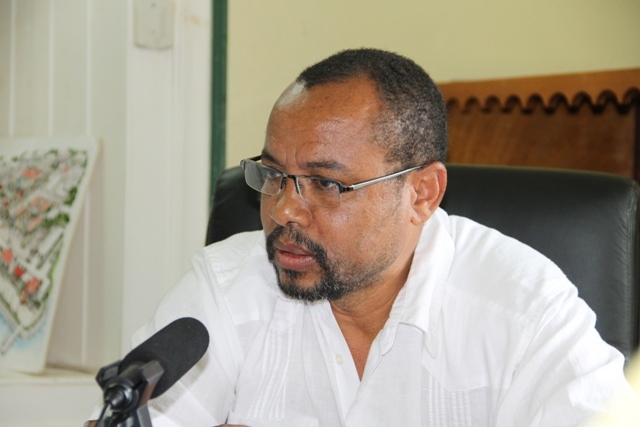 Wilkin noted that there was an opportunity in which St. Kitts and Nevis could benefit from the CDB and the World Bank. 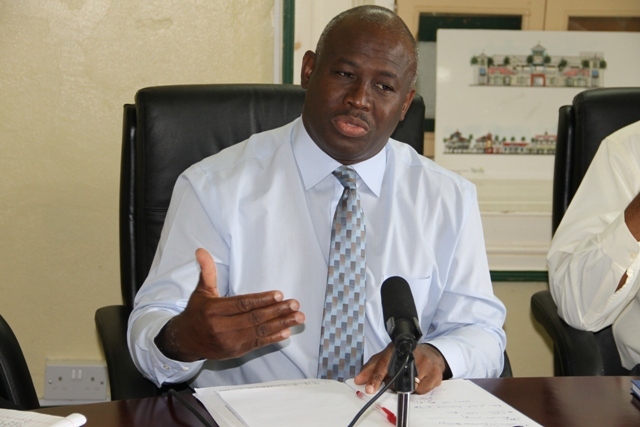 “There is a window of opportunity where St. Kitts Nevis stands to benefit from CDB and there is also another window of opportunity that is coming shortly with the World Bank but our colleagues from CDB, they are here because when we initiated discussions with them, we identified quite a number of projects that we have in the pipeline in St. Kitts and Nevis and we are looking at what projects can we put forward which we believe we can get benefits from CDB,” he said.